Just like yesterday’s post, this one is two weeks in one. I forgot to schedule both of them last week. DUH! The Welsummers are now about 13 (now) 14 weeks old, and they are FINALLY starting to venture out with the big hens some. Up until this point we have wondered if we made a mistake putting them into the coop with the older hens, and perhaps we did, but now they seem to be coming out of their shell (pardon the pun) a bit. 😀 We are still cornering them by themselves in a separate cage almost daily to give them time in the sun without having to worry about the older hens picking on them. 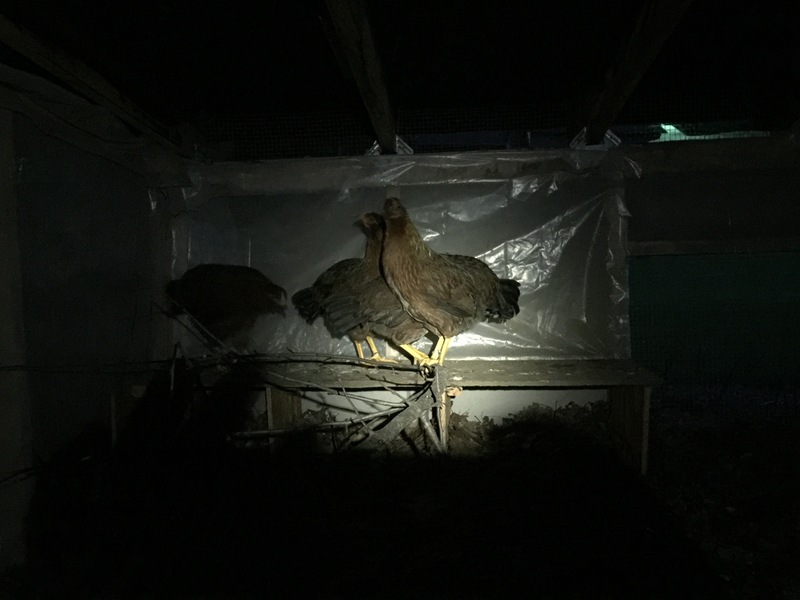 One of the issues we have had with the Welsummers is that they just roost on top of the nesting boxes instead of the roosting bar. Last night I put a branch in there near the nesting boxes and was happy to see a couple of them on the branch when I opened the door to the run this morning. The laying is going full steam, and we have been able to bless family and neighbors with several dozen eggs so far. It sure is nice to see the smiles on the faces of folks when you bring them a dozen fresh eggs, especially those who really enjoy them. Speaking of eggs, the silly Welsummers are roosting on top of the nesting boxes, so there ends up being a mess in the boxes all-too-often. I need to get another roosting pole put in the coop in an effort to prevent this – it’s not happening this week though. Speaking of chicken projects, I also need to get the roof patched. There are a few leaks, which aren’t causing trouble now, but I sure don’t need them to continue. I doubt I will get to that this week either. And that isn’t it. I have another project I have been putting off for a while, though I will save the details of it until later. This entry was posted in Chickens, Hobbies, Learning, Pictures and tagged in fresh eggs, pecking order, roosting, welsummer.